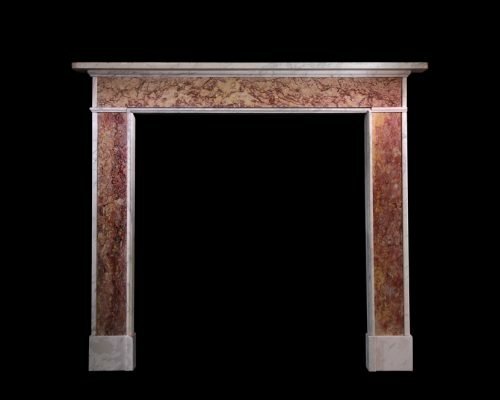 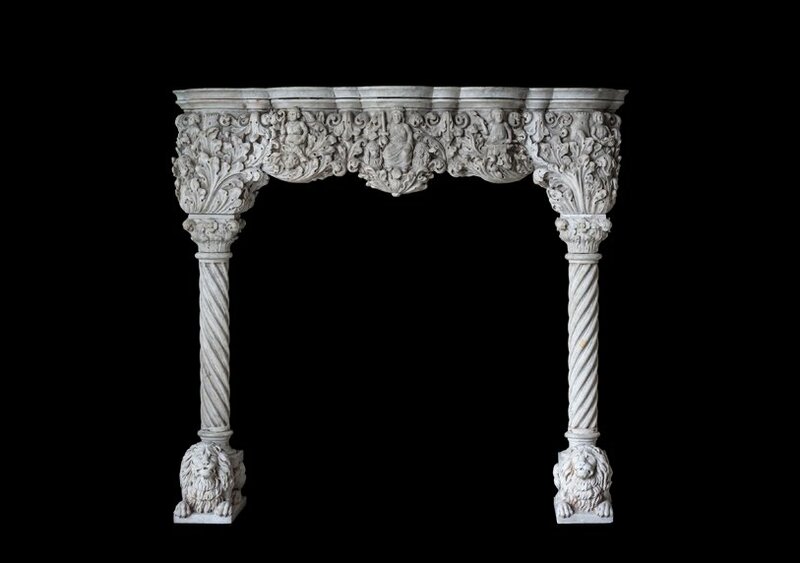 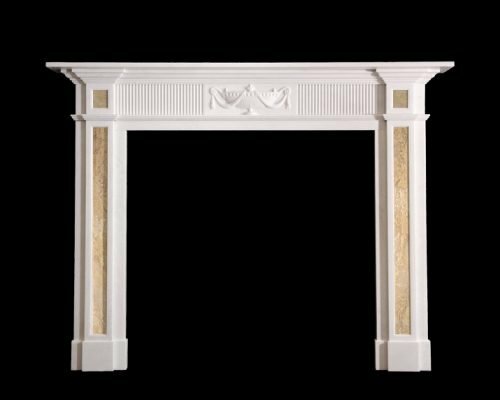 Ornate Venetian Carrara mantel in the Gothicstyle. 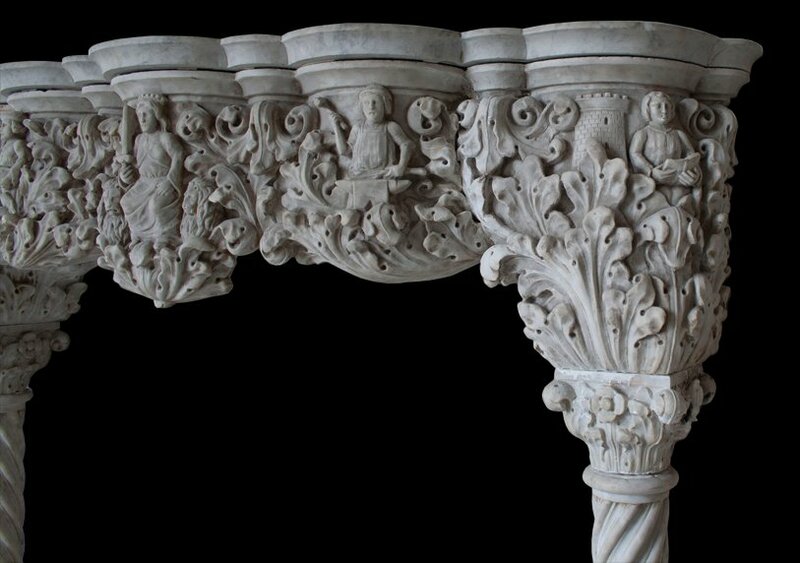 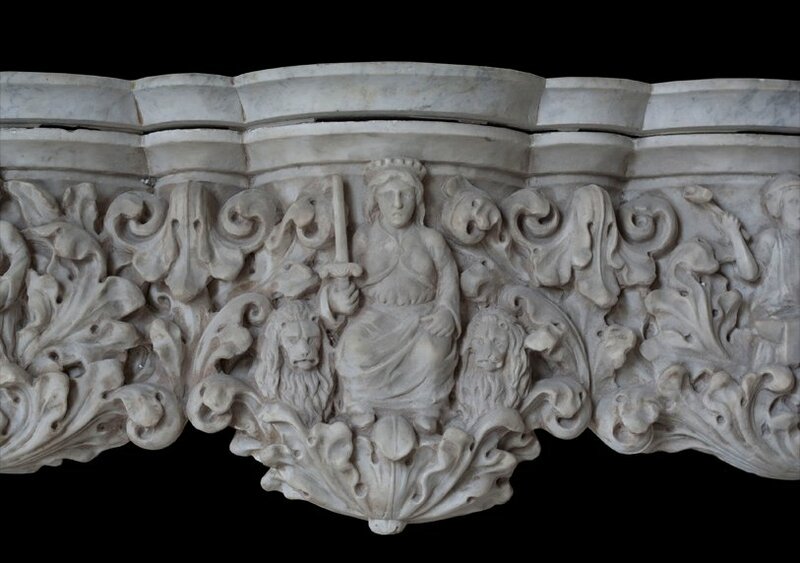 Showcasing a highly detailed frieze featuring A royal court, castle towers, and acanthus leaves. 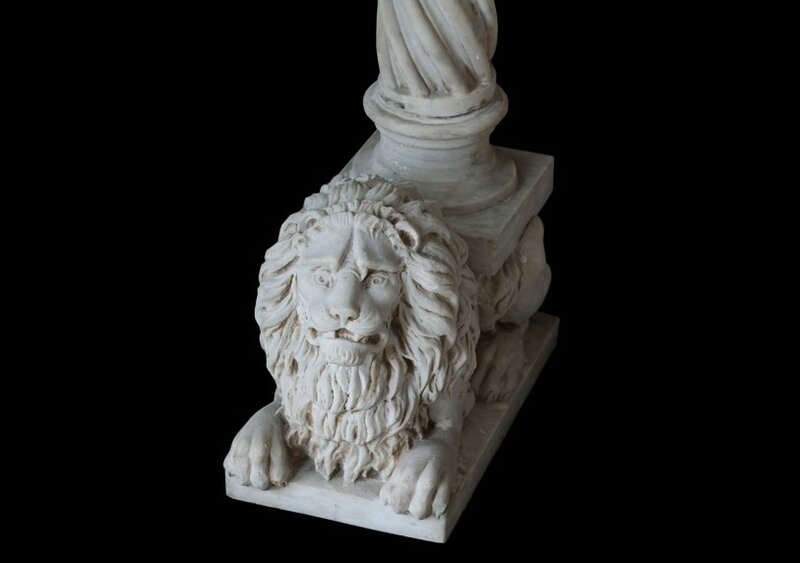 supported by Lions carrying barley-twist columns. 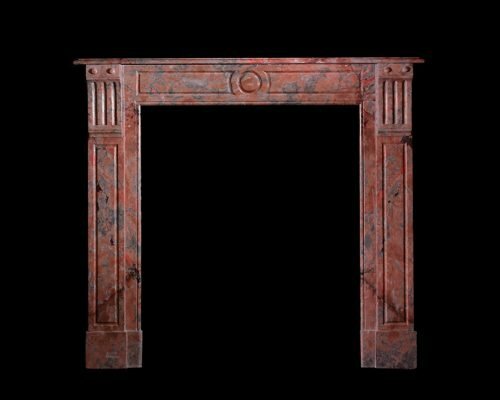 Please note this antique is held at Chesney’s New York.